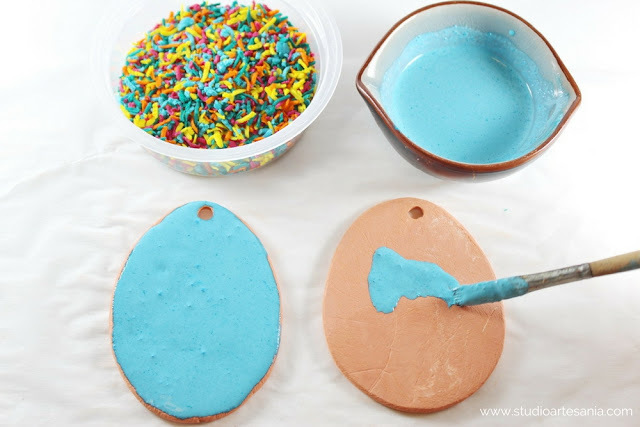 These sweet cookies-looking Easter eggs are quick and easy to make using a combination of air dry and polymer clay. 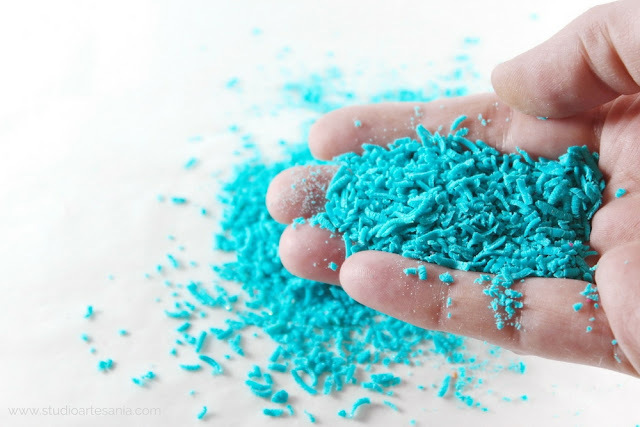 Many people believe that combining of those two clays is not possible, but obviously, they are wrong. 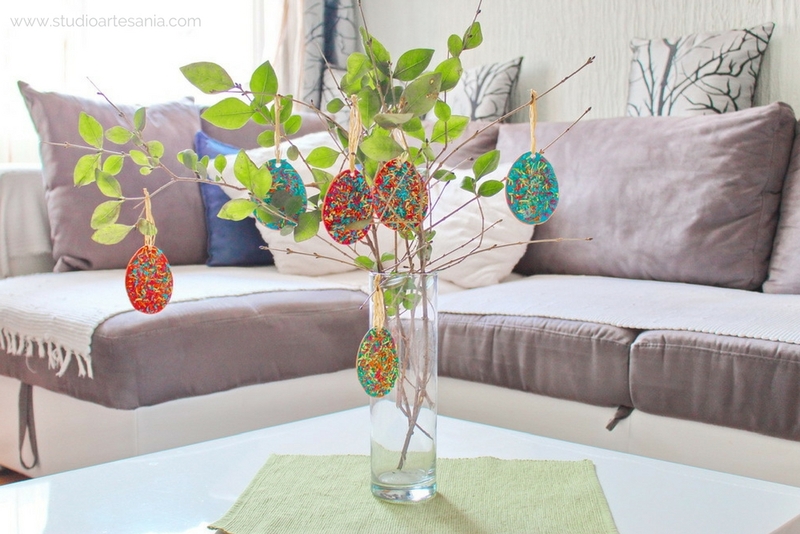 There are plenty options to use these eggs as Easter decoration - to hang them on the branch you put in the vase, to make garland, to tie them around the napkin, put them in a bowl together with some false grass, to place them on the nest made of raffia, or just to scatter them all over the table. Whatever way you choose to decorate your home with these colorful eggs I guarantee you they will grab everyone's attention. I've already explained how to make templates in various sizes and shapes in the separated tutorial, so use that instruction as a reference to make an egg template. My template is 9 cm (3.54 inches) high and 7 cm (2.75 inches) wide, so if you want to have exactly the same size of eggs before you start drawing your template measure and mark on bend side of paper 9 cm (3.54 inches). Then in the middle of the earlier mark, which is on 4,5 cm (1.77 inches), mark the width which is 3,5 cm (1.37 inches). Connect the points with a curved line, and cut your template with the scissors. For the base of the eggs, you will use air dry clay. You can use terracotta or white air dry clay. But, if you want to archive the look of the cookie then terracotta is a better choice. In case you use white clay, you can leave it as it is or paint the eggs after drying (and before the glazing and decorating) with beige or brown acrylic paint. I made several eggs with terracotta and few with white clay. The white ones are a gift for my friend. I already have explained how to work with air dry clay in my tutorial for the Striped heart, so to avoid repetition what I already wrote, please use it as a reference for preparing the clay, cutting the base, holes making and surface treatment and drying. 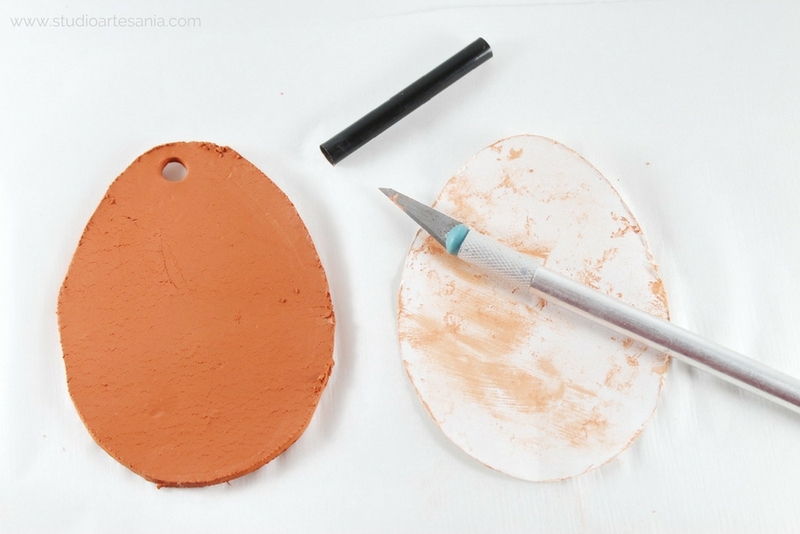 You will need to follow the steps from 2 to 14, with the differences that this time you will shape the clay as an egg and make only one hole in it. While you waiting for air clay to dry start preparing the polymer clay. Cut the one bar of yellow polymer clay from the package and knead it with your hands to become slightly soften. Then make a rod. Wrap the yellow rod in aluminum foil. 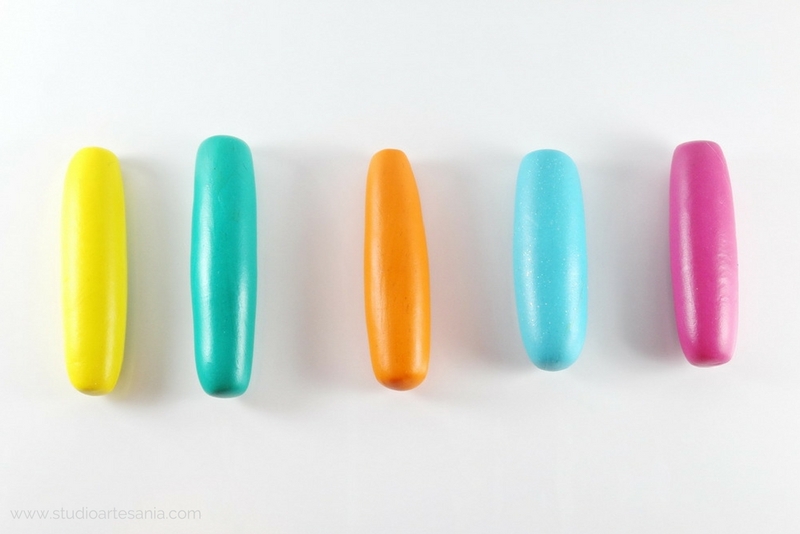 Soften, make rods and wrap all the other colors of the polymer clay. Place the rods wrapped in foil in the freezer for approximately half an hour to firm them up so you can easier grate them latter. Do not worry, clay will not change its properties due to freezing. 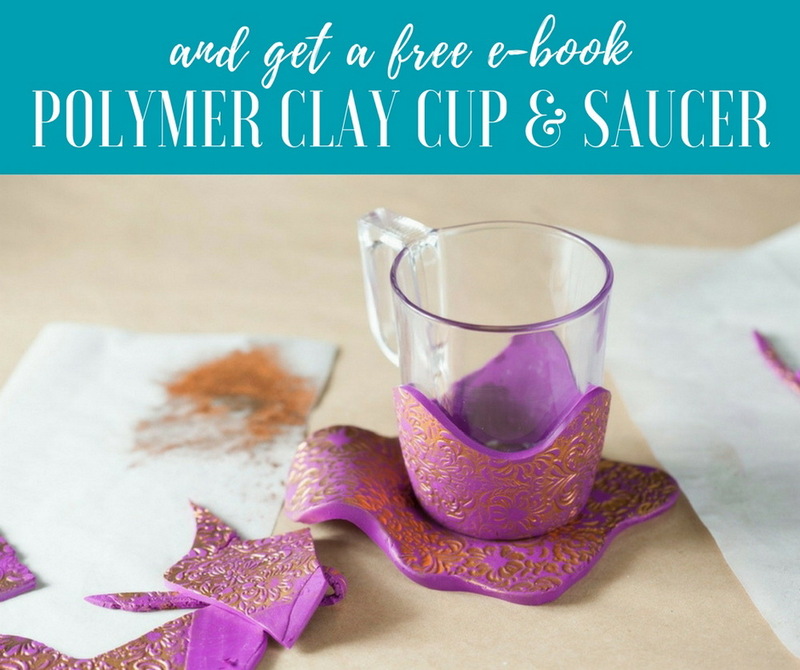 You can use leftovers from another polymer clay projects if you have them. 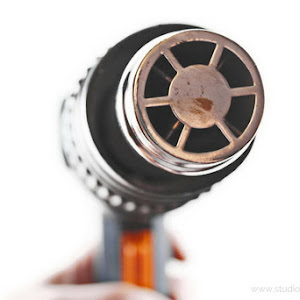 Turn your oven to heat up to recommended temperature for baking the polymer clay you use. The recommendation is in every package, but as a reference you will bake Fimo in 110 ° C (230 ° F), Premo on 130 ° C (266 ° F) and Kato on 150 ° C (302 ° F). 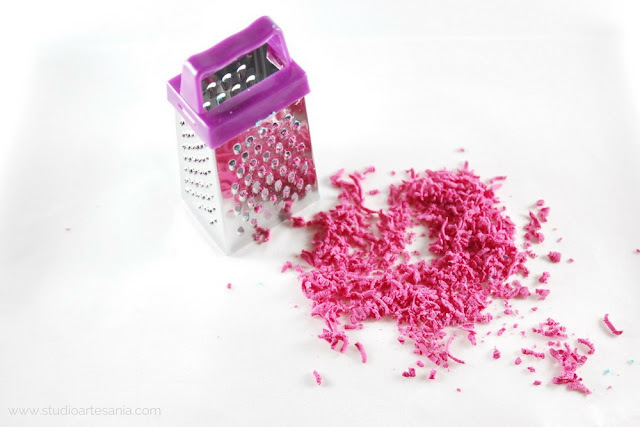 While you heating up the oven, place the sheet of baking paper on the working surface, take out one of the polymer clay rods from the freezer and by using the mini grater grate it into tiny shreds. You must be quick because the clay will begin to soften from the warmth of your hand. If you notice that the clay is to soft and sticky freeze it again. The mini grater I use is kitchen tool for grating spices, chocolate or smaller blocks of cheese, but I use this one only for polymer clay. I have another one with a diferently colored handle for food prepping and it has its place in my kitchen until this one is placed with my other polymer clay tools. 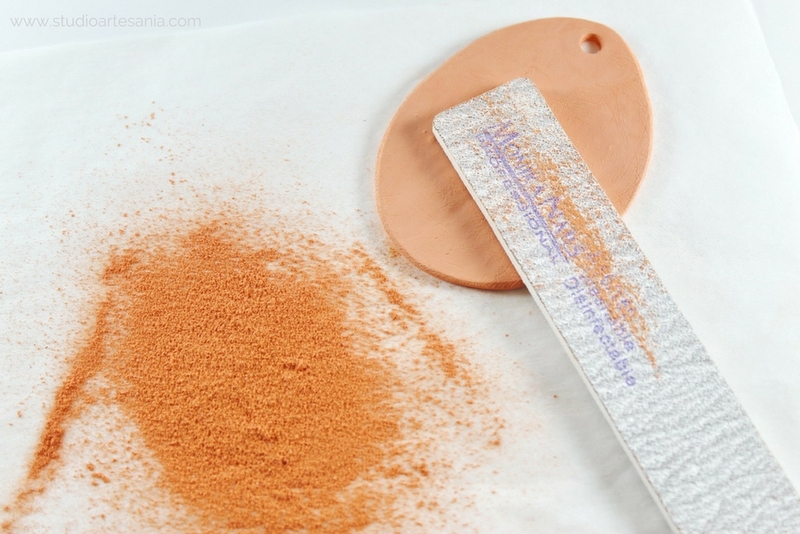 Spread the clay shreds with a light touch of your fingers evenly over the baking paper and place it on the baking tray. Put the tray in the freezer or in the fridge to keep clay shreds firm. Grate all the other clay rods in the same manner. After you grate the last rod, put the tray with all the clay colors into the oven and bake for 15 minutes. In every other case, you will bake clay for 30 minutes because you do not want your polymer clay to be underbaked. But, for this project insufficiently baked clay is necessary. While the clay is baking prepare 5 bowls or plastic containers so you can keep the clay separated later. After 15 minutes of baking remove the tray from the oven. Carefully so you do not get burn on tray take out one of baking papers with the clay. 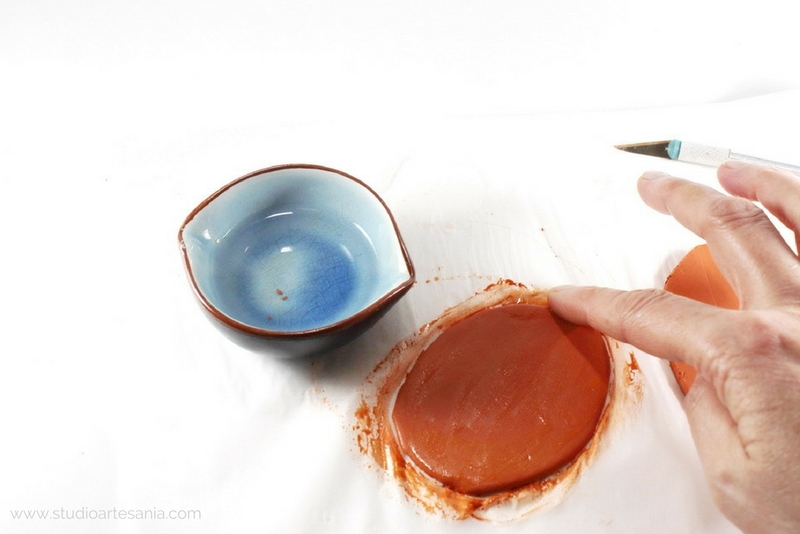 Bend the paper and shake the clay into the bowl. Some of the clay chunks can stick together so rub them between your fingers to split them. Clay is slightly warm, but you can't get burned on it. Repeat with other colors. Let the clay to cool completely for about 10 to 15 minutes. Then again rub the clay chunks between your fingers to crush them even more. Since the clay is underbaked it will break easily. Take one more bowl or container and put in it a tablespoon of every clay color. Shake the bowl lightly to mix the clay particles. Set all the bowls with clay chunks aside. Even though you have smoothened the surface with the water some of the clay eggs will have uneven edges, so you will need to sand them after the clay eggs are completely dry. Also, since the back of clay eggs will be decorated, you need to round those edges by sanding. During this step, please, wear the protective mask because you do not want to inhale the dust. Place the old newspaper or larger sheet of baking paper on the table so you can easily remove the collected dust. 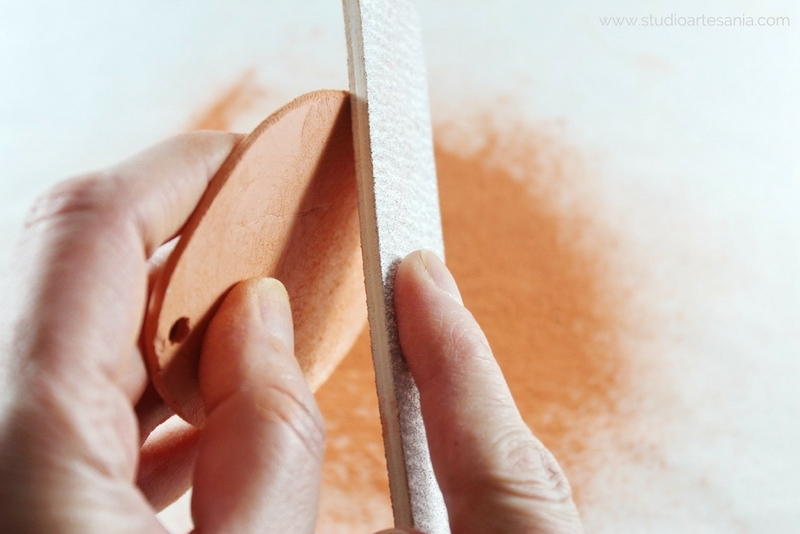 For sanding, you can use sandpaper, but in my experience, the semi-rough nail file works the best for air dry clay. To round the edges of the back of egg you will place the nail file vertically at the 45-degree angle and pull it once or twice in the same place. To level out irregularities on the egg place the file horizontally on the edge at 90-degree angle and pull it one or two times until you get smooth and even shape. Tap the egg several times on the table, and then wipe it with paper towels to remove dust from your creation. If you notice cracks on back of some of the eggs, do not worry because you will repair that later when you decorate them. Since the front of eggs are nicer and we want to have professional looking pieces you will use it as back part of the piece. 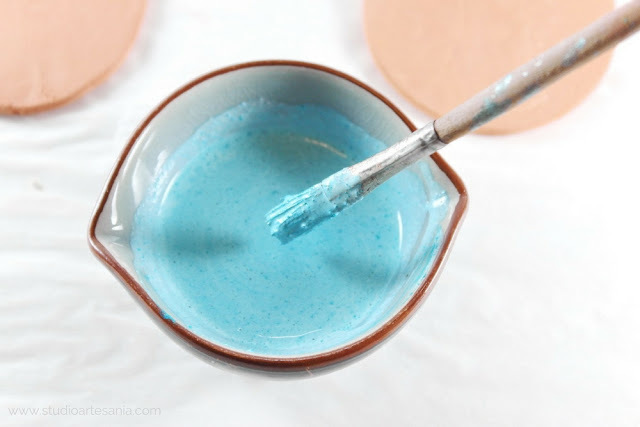 In the small bowl or on plate mix a little tacky glue with a bit of acrylic paint in the desired color. 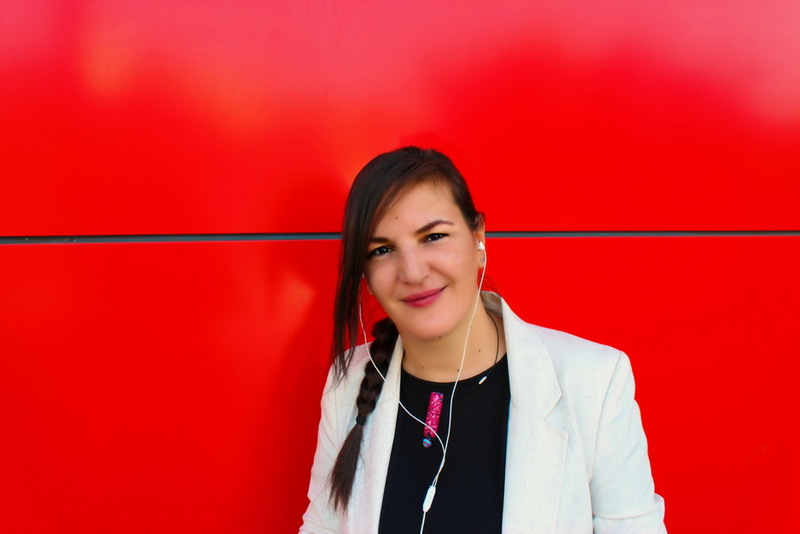 You want to get a mixture of thick consistency. For mixing use the bristle brush. For one egg same dimensions as mine, you will need about one teaspoon of glue. 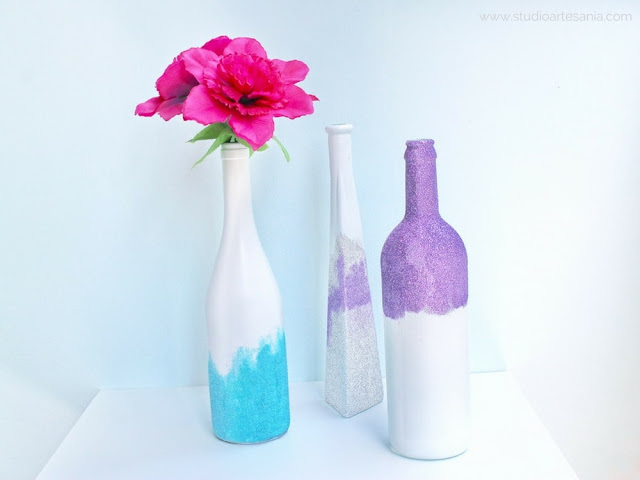 Instead of tacky glue, you can use wood glue since both become transparent after drying, so all you'll see after drying is the color of the paint. Some of the glues, such were the one I used, can be more liquid and you will have to put in it a bit more of paint to thicken it up. If you have thicker glue don't dilute it with the water. Depending on how much paint you have put into tacky glue your glaze can be fully colored or slightly transparent after drying. Basically, the glue is added to the mixture so you can attach the polymer clay pieces to the air dry clay. During the decorating of eggs, which is a bit of messy process, protect your work surface with newspaper or piece of baking paper. The paper that you have put beneath will also help you latter to gather clay pieces and return them to the bowl. With the circular movement of the brush apply glaze on the back of the egg. Carefully bring the glaze as close to the edges as you can. In case that glaze exceeds the edge carefully wipe the edge with paper towels. 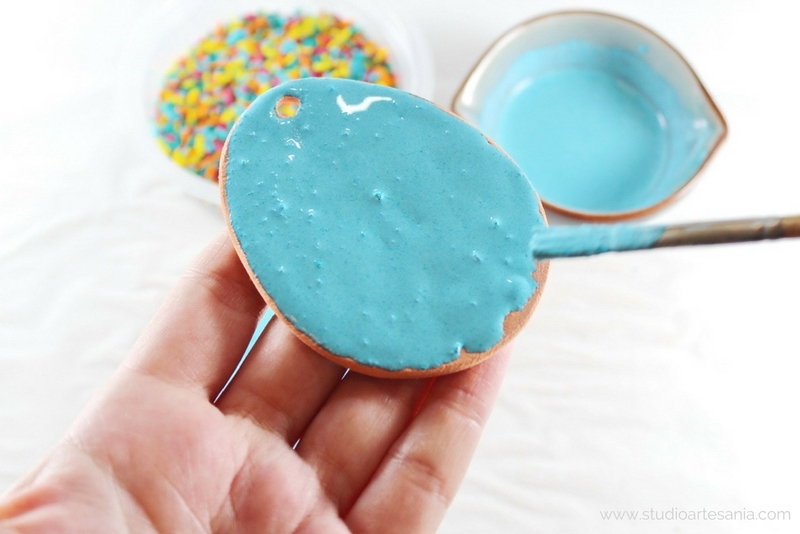 During the glazing, you may notice unevenness on the glazed surface but that will not be noticeable later on because the mixture of paint and glue will level up and you will cover it with polymer clay shreds. Also, it's not a mistake if you apply a thicker layer of glaze, but it's important that it's not thinner than one millimeter (0.03 inches). Glaze just one or maximum two eggs at once because the paint in the mixture will dry soon and if that happened you will not be able to add polymer clay pieces. 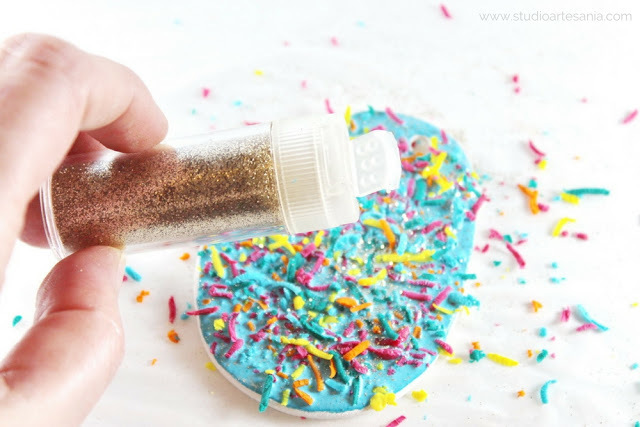 Sprinkle the glaze with the polymer clay shreds. You can apply only one color of polymer clay or a mixture of all of them, it's your choice. You can, also, apply just a few polymer clay chunks or cover the entire surface with them. 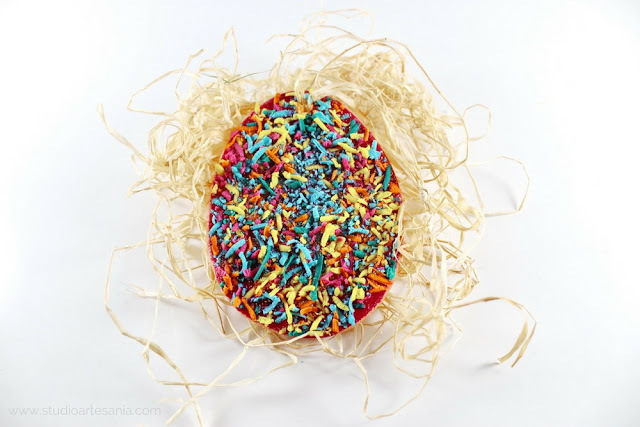 To add a bit of shine on the eggs sprinkle them lightly with fine glitter. I used gold one, but you can use glitter in whatever color you like. Just keep in mind that you do not want to overdo it with the glitter. 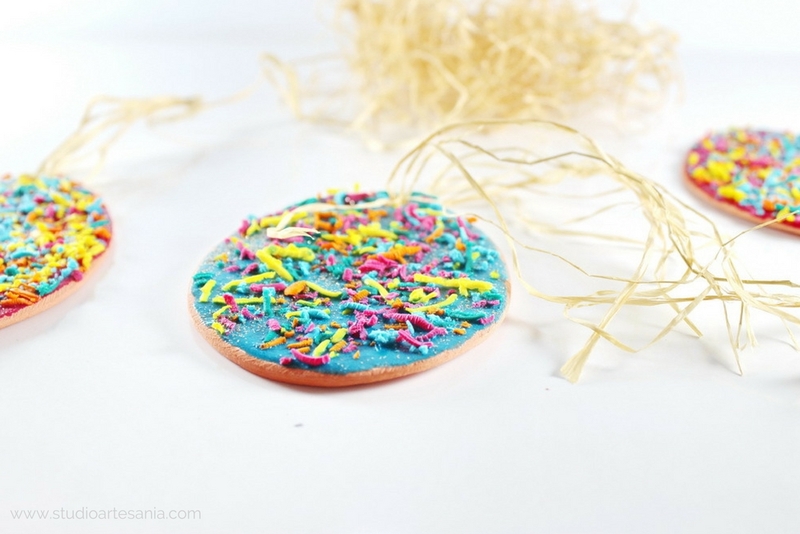 After you have added the decoration carefully lift and turn the egg, tap it lightly with the finger on the back to shake out the excess of the polymer clay shreds and glitter. 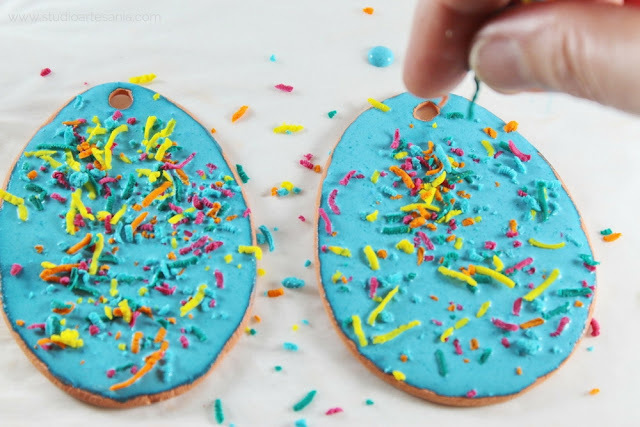 Turn the egg on the decorated side again, and with the tip of your finger gently push the polymer clay pieces that protrude out of the edges of the shape. Leave aside, and glaze and decorate other eggs. 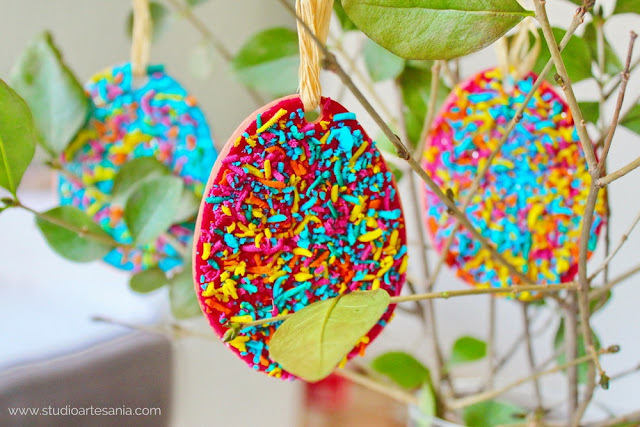 After you finish decorating let the eggs to dry overnight. Since the glue is made on a water base, it mildly moistens the air dry clay, so it takes about 12 hours to everything be completely dry. 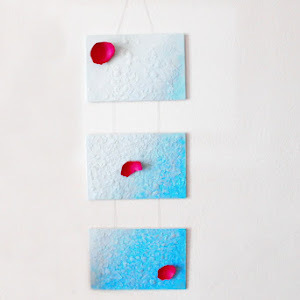 For the hanging part, I used natural raffia, but you can use paper or other types of ribbons in whatever color you want. Tread the ribbon through the hole, and tie both ends in the knot. And that's it! Your decorative Easter eggs are ready to grab everyone's attention.